I’m in Brunei attending the Asia Pacific Network of Science & Technology Centres (ASPAC) Conference in the opulent Empire Hotel & Country Club. This conference has all the hallmarks of a great learning experience. I was stoked this morning to be seated next to a bloke with more than 33 years of science comm experience under his belt – none other than Dr Stuart Kohlhagen PSM from Questacon. This man oozes wisdom – a modern science yoda! I liked him straight away. For one, he’s from the Great South Land (Australia – where I had a terrific time studying). Two, he’s decked in cargo shorts which makes me feel good in my torn jeans, surrounded by a company of skirts and suits at today’s Opening session. And third and best of all, validates the individual and the work he or she does as he connects with people and shares his thoughts about science communication today. It was terrific to hear from him how he first had a great impression of Science Centre Singapore when he read about its offerings in a Singapore Scientist magazine some 25 years ago! Stuart shared his thoughts about exhibit design. He reckons its good to create a culture of innovation, which in the area of exhibitions, begins at the stage of exhibit design! At the very head and not the tail end of production. We need to build exhibits that allow for people to tinker and manipulate their learning outcomes. And perhaps rely less on exhibits that communicate static science content solely through panels which tend to inhibit creativity and self-exploration. He also added that guided tours shouldn’t be a one-way push of communication but rather a two-way flow where the explainer whips out a tool kit to ask questions to allow for the exploration of scientific ideas. This form of communication should extend to any form of floor interaction with visitors. Well, that’s just the tip of what we’ve gleaned from ‘fireside chats’ with Stuart. Stay tuned as there’ll be more sharings to follow! Checking out, this is Danny from the 400,000-pple strong Brunei in bushfire season, a gorgeous hotel and an interesting ASPAC conference. Previous articleEVENTSTake a bite of Science! Hey Danny, sounds like you are having a great time! Enjoy and look forward to your next post from Brunei! 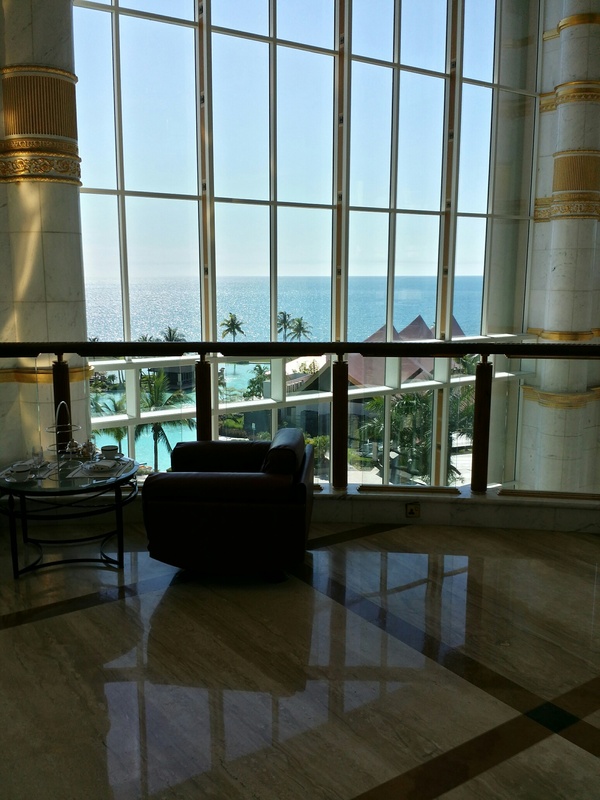 Dear Danny, thanks for sharing, the Brunei Hotel is so gorgeous & beautiful! I like the point you mentioned on the guided tour. Enjoy the ASPAC Conference and look forward to your next post from Brunei. Thanks & take care! Many thanks for tuning in to Stir-friend Science! Very kind of you to leave a comment on this article! I had a great time learning at the Conference and am happy to share what I gleaned from it in future posts as well as in person! Beautiful pictures. Didn’t know brunei had such stunning views!